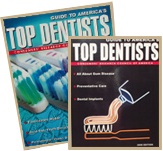 Did you know 30 to 40 million Americans fear the dentist? Dental anxiety and phobia are common. It can lead many patients to avoid visiting the dentist, even for routine examinations and cleanings. Failure to visit the dentist on an annual basis can increase the risk of periodontal diseases. One of the things we provide at Kevin F. Postal, DDS, is to assist patients with dental phobia and anxiety by offering relaxation dentistry. Our services can prevent patients from missing dental appointments and provide a relaxing experience when visiting our Ballwin family dentistry. If you are anxious about any of our dental procedures, relaxation dentistry can help you stay comfortable and relaxed. Relaxation dentistry is a medication-based approach to sedation. Patients are awake during dental procedures. The medication we use helps to take away the nervousness you can experience during dental procedures. 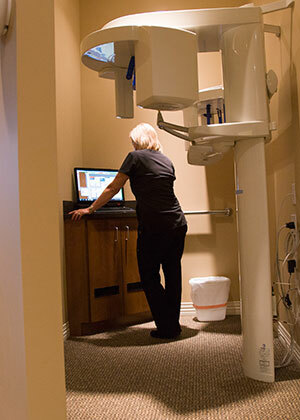 We communicate with our patients during the procedure to ensure they are relaxed and comfortable. Our goal is to make visiting our office pleasant and enjoyable. We want our patients can not only enjoy their time here, but to also help them prevent serious oral health issues. Dental fear can keep people from receiving the preventive care they need. As your Ballwin family dentist, we want you to avoid major issues like tooth extractions, root canals, and gum flap surgery. There are several different options for dental sedation. We provide nitrous oxide sedation, also known as laughing gas. Children benefit from nitrous oxide as it helps to relax them during treatment so they do not start developing a fear of the dentist. Sedating a patient is a normal, safe procedure we use in our office on a regular basis. Nitrous oxide doesn’t put a patient to sleep, but it does relax them enough to aid in staying calm during an appointment. Patients breath in nitrous oxide through a mask placed on the nose and it begins working within several minutes. Once we finish the procedure, the mask will then switch to providing oxygen, helping the patient to feel normal once again. Many people refer to this as laughing gas as it can cause giddiness. One of the most important things during dental examinations with sedation is checking on the patient. We do safety checks to ensure our patients are not experiencing any problems. We check blood pressure, blood oxygen levels, heart rate, and temperature. We want to ensure our patient are safe during the procedure. 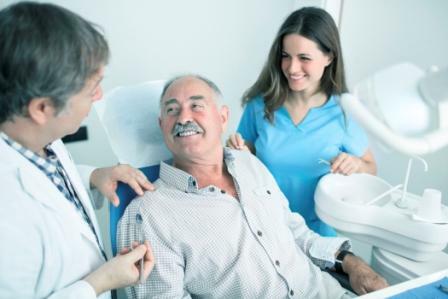 If you have any health concerns or prior health conditions, we will need to be aware as it can impact the sedation levels used during dental treatment. If you have not tried relaxation dentistry before, you may find yourself feeling nervous about using the “laughing gas.” Please reach out to our office and address these concerns before your procedure as we want to work hard to ensure our patients are relaxed and comfortable. When you come into our office, there will be some light paperwork to fill out discussing your health and learning more about sedation dentistry. You will be taken back to one of our patient chairs where we will discuss the sedation and how it works. Patients will lie in our dental chair and a small plastic tubing nose piece will be placed over the nose where patients begin to inhale through the nose. It will take a few minutes before you experience the effects, but quickly you can start to feel your body relaxing. After 5 minutes, we will check on how you are feeling and if you feel ready to begin dental work. Patients using sedation often find this treatment to be the best decision they have made as it allows them to not only stay relaxed, but to receive the dental work they need to prevent major issues. Following the dental procedure, we change the flow of nitrous oxide to be only oxygen to help a patient return to their regular state of mind. Normally patients feel fine after a few minutes of breathing oxygen. We do recommend you do not drive home as some patients do experience problems with physical coordination, sleepiness, dizziness, and nausea for a few hours following the procedure. For more information about relaxation dentistry in Ballwin, MO, call Dr. Postol today! As your cosmetic dentist in Ballwin MO, Dr. Postol is happy to help you get the smile you dreamed of--no fear included!